I’m not sure what is happening in the kitchen over at Maui Sweet Cakes, but every time I turn around, Heidi Cramer is baking up some new, and delicious, creations! 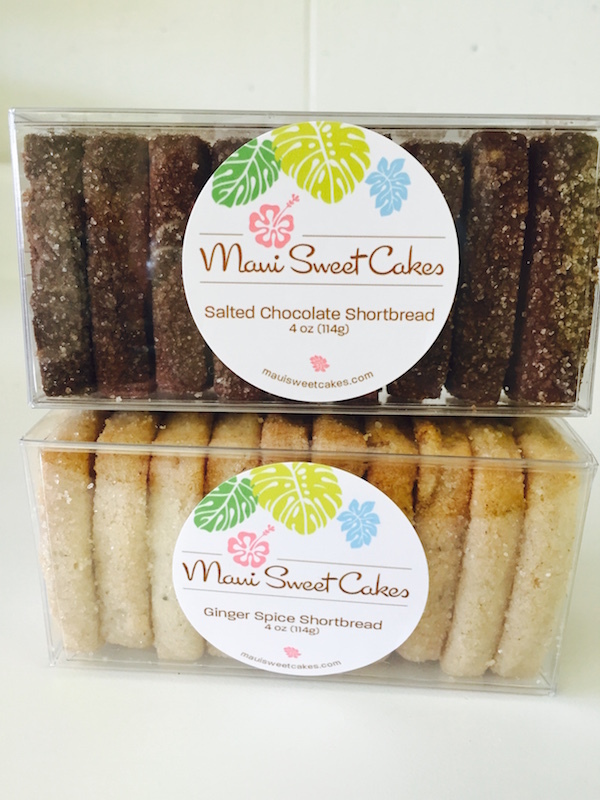 Heidi just sent me a note to let me know that she’s expanding her line of shortbread cookies to now include Maui Sprinkle Cookies and Swirl Brownies! You may have already seen them around at some local retail locations, with more coming soon. Heidi also shared that she’s starting to get more requests for gift boxes, especially with all the corporate meetings and incentive groups coming to Maui, who are looking for unique, made on Maui treats. The perfect Made on Maui gift! 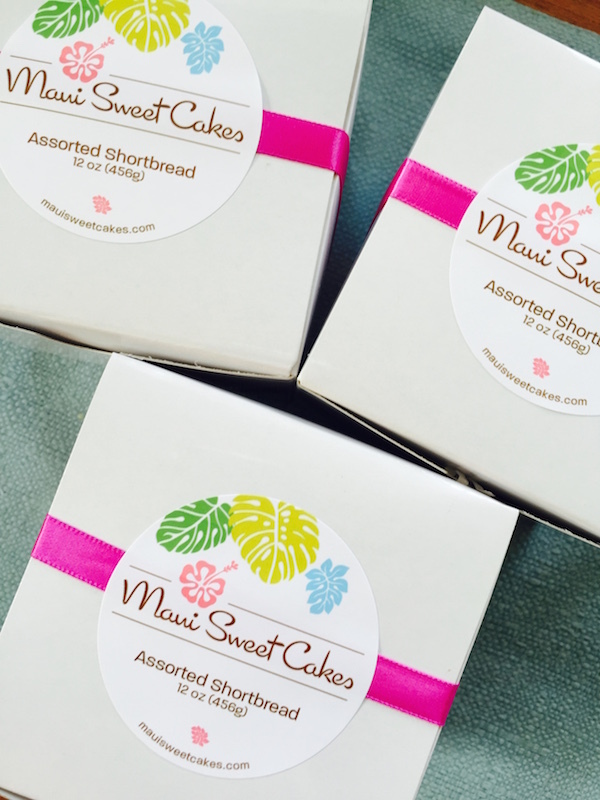 Great Gifts for Weddings, Meetings or Incentive Groups – Made on Maui! And of course, donating to this project comes with some sweet perks. While everyone is encouraged to donate to the Indiegogo campaign, if you want to place a direct cookie or brownie order before the e-commerce website is up, you can contact Heidi at cakemaui@gmail.com or (808)385-6202. Whalers General-Banyan Tree & Pioneer Inn and more! And if you recall Heidi’s other recent venture of Maui Dog Treats, it is currently being re-organized and will be re-launched early November.